Find every single moon pearl. Solve every puzzle in chapter 1. Solve every puzzle in chapter 2. Solve every puzzle in chapter 3. Solve every puzzle in chapter 4. Solve every puzzle in chapter 5. Solve every puzzle in chapter 6. Solve every puzzle in chapter 7. Solve every puzzle in chapter 8. Solve every puzzle in chapter 9. Solve every puzzle in chapter 10. 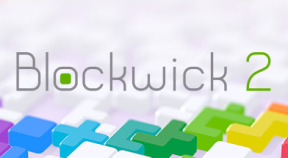 Illuminate all 160 puzzles in Blockwick 2. Fill the entire moon pearl wall. Solve every puzzle in Basics.